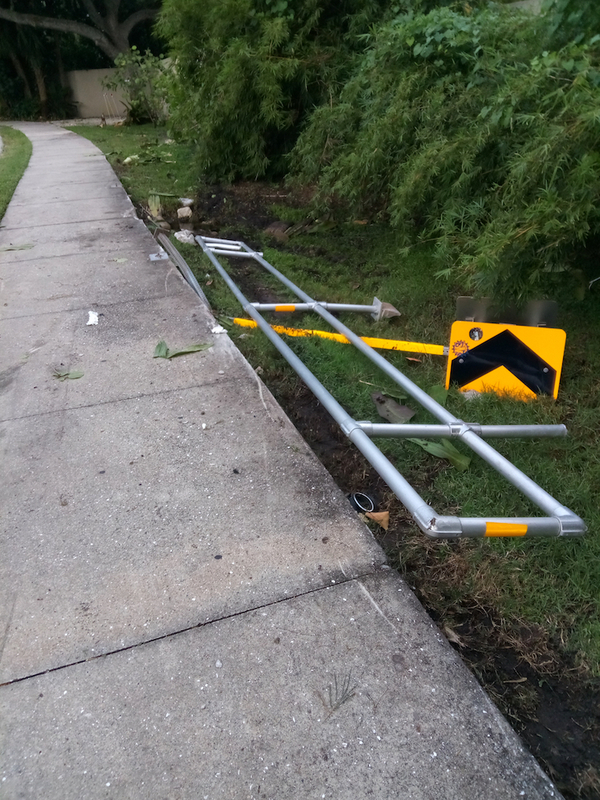 A vehicle crashed in the curve on the north end of Ocean Boulevard right around 11 p.m. on Oct. 7, the Siesta Sand learned from Michael Shay, the Siesta Key Village Maintenance Corp. manager. Shay said he did not see any skid marks. It just looked as though the vehicle kept on going straight instead of staying on the road in the bend just north of the Gleason Avenue turnoff for Siesta Key Chapel. The Sarasota County Sheriff’s Office report on the incident says a Lexus ES 350 sedan had to be towed from the scene, with damage estimated at $15,000. The owner of the vehicle was identified as Karina Violeta Daza, 24, of 7319 52nd Drive E. in Bradenton. She was not injured, according to the report, and she refused medical attention. The estimated speed of the vehicle in the curve was 45 mph, though the speed limit is 35 mph, the report added. Daza was not suspected of having consumed an alcoholic beverage before the crash, the Sheriff’s Office report said, and the box referring to whether the driver was distracted said she was not. It was just a matter of time, Shay pointed out, before another crash would occur in that location. Siesta Sand has heard tales through the years about homeowners who live near that curve being awakened at night by loud noises from drivers slamming into the wall or swerving into the ditch. In response to a question, Lisa Cece, the special district coordinator for the county, who oversees maintenance issues on the Key, wrote in an Oct. 12 email, “We get hit and run damage all over the County, and must repost any roadway items. The Sheriff’s Office report estimated the total amount of damage was $1,000, split evenly between the guardrail and the sign. The Siesta Key Association announced that the November meeting has been delayed by one week. Normally the meeting is held the first Thursday of the month. The new date for November will be Thursday November 8. The meeting will be at 4:30 p.m. at St. Boniface Church, 5615 Midnight Pass Road in the Parish Hall. On Monday October 22 an elderly woman accidently placed her car in Drive while attempting to back out of the parking lot by Coldwell Banker on Ocean Blvd. The car rammed into the north end of the outside of the Beach Club in the Village. Fortunately no one was injured. 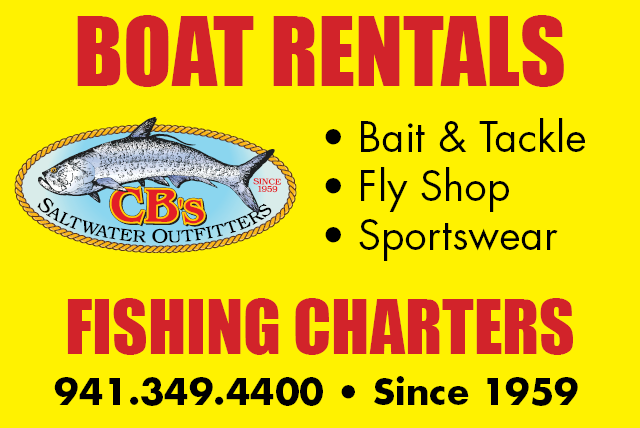 On October 16, The Bank of America located at 1237 Stickney Point Road, closed its Siesta Key branch sandwiched between CBs Outfitters and the Daiquiri Deck. A quick look at the current assessed value of this property on the County tax rolls, show that it is appraised at $1,538,400. The big question, what will happen to this property? It’s time to renew your SKA membership for 2019. SKA’s costs have gone up since we established our $30 annual fee in 2012, so we will have to raise our fee to $35 in the New Year. BUT — if you renew or join before the end of 2018, you can still pay just $30. Please renew now to save us the $1000 cost of mailing renewal letters so we can use this money for our advocacy programs on your behalf. A 12th Judicial Circuit Court judge has denied Siesta resident Lourdes Ramirez’s motion for a rehearing in her civil complaint against Robert Waechter, also of Siesta Key, and his business, RWR Installations. In a Sept. 24 order, Circuit Judge Andrea McHugh offered little more than the statement of denial. In accord with standard judicial procedure, her order did reference the fact that Ramirez’s motion was filed on Aug. 14 and that the Court had reviewed the motion and file. Waechter has asked the court for attorneys’ fees and costs in the case. It revolves around Waechter’s having used a prepaid credit card to make contributions in Ramirez’s name to Democratic candidates running for office in 2012. He pleaded guilty to a misdemeanor charge in 2013 and paid tens of thousands of dollars in fines. Ramirez, who is a Republican, alleged in her civil complaint that his actions resulted in damage to her 2014 campaign for the District 4 seat on the County Commission. She lost that race to Alan Maio of Nokomis, who is seeking re-election this year. As Wacheter’s attorney in the civil case, Morgan Bentley of the Sarasota firm Bentley & Bruning has asked the court to approve attorneys’ fees of $34,370.92 and costs of $5,300.14. A new retail women’s clothing shop opened up in Davidson Plaza in the former Lotus shop. The store is located at 5118 Ocean Blvd. Siesta resident Mike Cosentino has appealed the 12th Judicial Circuit Court’s dismissal of his North Beach Road complaint against Sarasota County to the Second District Court of Appeal. After 12th Judicial Circuit Court Judge Frederick Mercurio issued a final judgment on Sept. 11 in favor of the county, Cosentino stated he would appeal the decision. He claims Mercurio incorrectly took the view of the county in this last part of the case remaining against the county. The county’s argument was that Cosentino did not have “standing” to pursue a claim against the county. Cosentino said, “In layperson’s terms, the Court has ruled that the County’s actions are none of my business.” He added that he was confident of prevailing at the appellate court level. The case revolves around Cosentino’s argument that the county never should have vacated a 373-foot segment of North Beach Road. Sarasota City Manager Tom Barwin reported that City Engineer Alexandrea DavisShaw and Col. Andrew D. Kelly, commander of the USACE’s Jacksonville District, recently signed the agreement for the long-term Lido Key Renourishment Project. Barwin added in his Sept. 28 newsletter that the project “will begin next September” or in the fall of 2019. The 34th Annual Light Up Siesta Key and Village Holiday Parade will be held on Saturday, November 24, 2018 from 5 to 9 PM. Festive décor and holiday atmosphere will Light Up Siesta Key. A community Christmas tree will be at the Village Gazebo. The Village Holiday Parade which will begin at Avenida del Mare and Beach Road at 5:30 PM traveling north on Beach Road onto Ocean Blvd. into the Village. Many businesses and local groups will be participating in the parade and welcoming Santa to Siesta Village. If you would like to participate in the parade, visit www.siestakeychamber.com and click on the scrolling event banner at the top of the home page. There is a $25.00 fee per entry and registration is required. The Siesta Key Condo Council gears up for the annual Traditional Holiday Lighting Contest. Judging will be held on Wednesday December 12th at 6:00 p.m.
Condo Boards support Siesta Key with creative and attractive lighting every season. Please help with the continued beautification of the Key. Another factor this year is the local economy. Remember to support the local Siesta Key businesses. When former Sarasota County Commissioner Jon Thaxton addressed members of the Siesta Key Association on Oct. 4, he said, “I’m one of the oddballs …” He is a fifth-generation Sarasotan, he explained. When he was a child, he continued, his family moved to the central part of the county. Osprey, he stressed, is not South County but in the center of the county, almost exactly in the middle, in fact. Then he asked if audience members were familiar with Roessler’s Restaurant, which is located at 2033 Vamo Way. Many were. Additionally, Thaxton pointed out that even when he was 12 or 13 — “maybe younger” — fishermen would lament the changes they were observing on the land that they felt were producing negative impacts on the water. As he began his introduction to his topic that day, which was red tide, Thaxton referenced a time much longer ago than the period of his youth. The first recorded observations of red tide were written in 1575 by Spanish cartographer Juan Lopez de Velasco, Thaxton said. Velasco lived roughly between 1530 and 1598, according to an online check. Much more recent research had found a dinoflagellate “very closely related” to the red tide algae in the bones of cormorants and fish scales that were dated back 2 million years ago, to the Pleistocene Epoch. That information resulted from the excavation of an eastern Sarasota County site in 1989, Thaxton added. During the October Siesta Key Association (SKA) meeting, President Gene Kusekoski strongly encouraged those in the audience to renew their memberships before the end of the year and to encourage others they know to renew or join the nonprofit. Last year, he continued, the directors paid for postage to send letters to many members who did not renew online. “That cost us probably a thousand bucks,” Kusekoski said. SKA directors have pointed out that the nonprofit has had to pay more in recent years to rent the rooms where it holds its meetings at St. Boniface Episcopal Church. It also has had extensive legal bills, of course, as it has fought to prevent the dredging of Big Sarasota Pass. Referring to the latter situation, Vice President Catherine Luckner noted during the meeting that people have been sending in $40 contributions, as suggested on the SKA’s website, with the goal of raising $40,000 from 1,000 members. Contributions to the Siesta Key Environmental Defense Fund are tax-deductible, a companion SKA webpage reminds visitors. On Oct. 10, Sarasota County Administrator Jonathan Lewis and the County Commission bade a formal farewell to Carolyn Brown, director of the Parks, Recreation and Natural Resources Department (PRNR), who was retiring after 30.5 years with the county. Leaders of Siesta organizations and many Siesta residents have come to know Brown through her years of work with the beach and water accesses, as well as a variety of related projects. In late July, Brown submitted her letter of resignation to county staff. On Oct. 29, Brown officially will become the director of support services for the Town of Longboat Key, Susan Phillips, assistant to the town manager.